Wafaa Debs—a.k.a. “the Beauty Gypsy”—became a bona fide beauty mogul at the startlingly young age of 25. In the 1990s, the wide-eyed Texan native—armed with a newly minted merchandising degree from New York’s Fashion Institute of Technology, and bursting with zeal—ambitiously set out to establish her own beauty boutique in Austin, her hometown. Despite encountering a slew of obstacles—including several bank loan rejections—along the way, Debs finally brought her creative vision to life with the grand opening of Beaux Visage. The petite makeup shop, which offered a variety of imported niche beauty products, touted a highly personalized sales approach that focused on mixing and matching brands, in order to help clients pinpoint the products and shades that worked best for their unique complexions. The bespoke-based method quickly garnered Debs a loyal following—a band of clients who never felt pressured to purchase anything from the intuitive stunner, but did so out of pure admiration for her genuine personality and undeniable expertise. Word spread and soon enough, Debs began receiving orders from all over the nation via email—a phenomenon that inspired the makeup guru to transplant her custom advice and store online. Despite the shop’s smashing success, however, and much to her clients’ dismay, the Lebanese belle was forced to shutter her socko shop in 2000, when she and her husband Sobhi Debs—president of textile company Debs Corporation—decided to move to Japan to be closer to the family firm’s headquarters in Osaka. For the past few years, the makeup queen kept her concierge services virtually underground, catering to only a select circle comprised of celebrities and referrals. 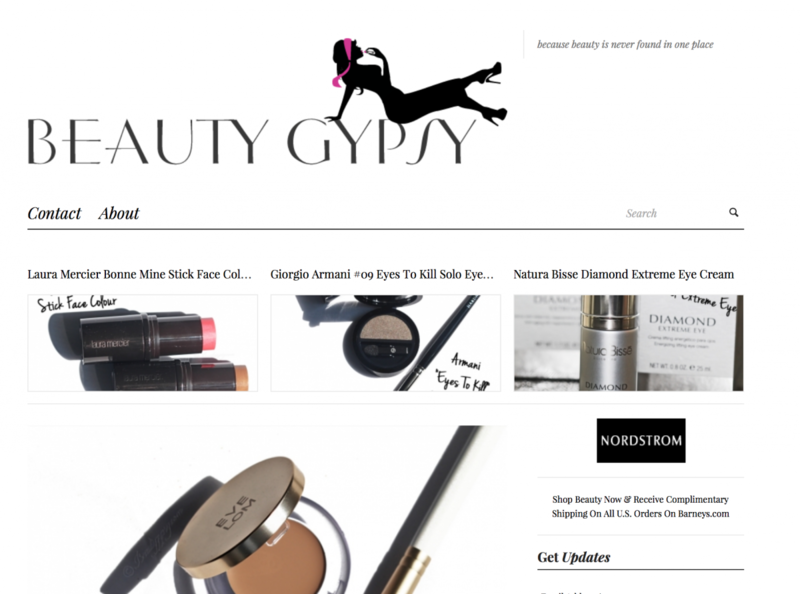 Now a well-established New Yorker, however, the charming Manhattanite—who wholly enjoys living in a city abound with fine and delectable eats—is aiming to take her beauty business to a whole new level with BeautyGypsy.com, a site created to help spread her beauty prowess to much wider and more diverse audience. We recently paid the expert beaut a visit at her resplendent residence—a stunning apartment located at 15 Central Park West, famously known for being one of the City’s most coveted addresses. Nestled on the gilded edifice’s seventh floor, the Beauty Gypsy’s gorgeous apartment is also the site of her amazing “beauty laboratory,” where she dedicates a great deal of time messing around with her awe-inspiring plethora of beauty potions. Over spiced tea and finger sandwiches, we chatted with the gorgeous mother of two about her philosophy, favorite beauty brands, current obsessions, and the true power of makeup. What’s your beauty/makeup philosophy? How did you get into the business of beauty? Beauty should enhance your best features, and not focus on your flaws. Your makeup should be a reflection of your lifestyle and personality. It is about feeling confident and comfortable with your looks—it should never be forced or look “out of character” on a person. I got into the business by following my passion and dream of making women look and feel better. While I was interning at CNN Style with Elsa Klensch, the staff told me “please do what you do best—[focus on] beauty, because you’re a natural at it.” I took the advice to heart, and opened up Beaux Visage in Austin Texas in 1996. It was one of the best decisions I have ever made. I learned everything about women and their beauty needs, and felt it was the best training I could ever get. Why do you believe makeup is so important? Describe the power of makeup, and the effects it can have on a woman, beyond the ability to improve her outer appearance. I believe makeup is important because when it is done right, it not only changes a woman’s self esteem, [but also makes her] walk differently, speak differently, and feel much better. It can be a very empowering tool if used correctly; I have seen it with my clients, and it is a great feeling for both the client and the makeup artist. Why did you decide to become a beauty blogger? What do you hope to achieve with your blog? 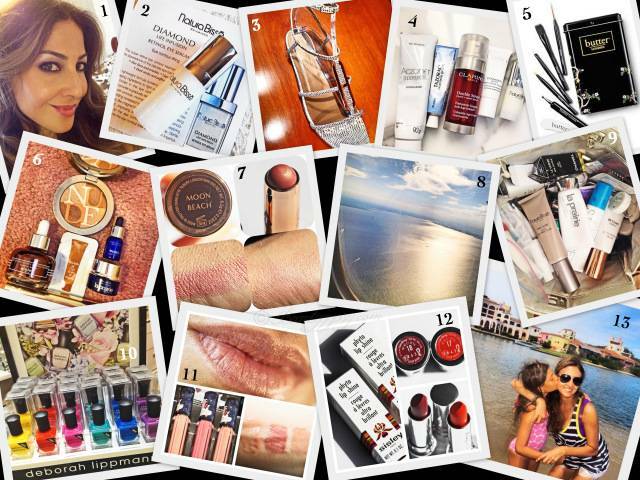 My friends, family, and clients convinced me to become a beauty blogger. People who have used my services—whom I have shared my knowledge with over the last few decades—continued to ask me questions, and I realized I needed a place to share this information. I have guided them to make sure everything from their hair color to their lipstick were personalized for them, and have consequently won their respect. I also realized my wealth of knowledge and experience set me apart from all the bloggers on the market, and I was encouraged to start a blog to offer something completely different to readers searching for beauty advice. That said I hope to become recognized as a “beauty guru and concierge” in the beauty industry. What sets you apart from other beauty concierges? What sets me apart from other beauty concierges is the fact that my knowledge comes from experience working with all types of women. The best way to know what a woman needs is to actually work with her, wait on her, and listen to her needs, insecurities, and goals. That is what I have always done. I have tried so many of [the products that are] out there, and am confident that I know what is good and what is a waste of time and money. I also have [a deep passion for what I do], and just by speaking with someone for a short while I can read her, [figure out] what she needs, and [map out a makeover for her in my head]. I guess it’s a gift! Wherever I traveled, my mission was always to find the products that are sought after and test them out myself. [During the nine years I spent living in Japan], I tried everything from drugstore and high-end products—from hair products to makeup—and at this point, it takes a lot to impress me. Even though it now takes a lot to catch my attention, though, I believe beauty is spread all over and it is good to always keep your mind open to trying new things. What are some of your personal favorite beauty brands (and why are they your faves)? I know naming personal favorite brands isn’t exactly encouraged, but I have never had a problem encouraging and promoting certain brands for certain products. 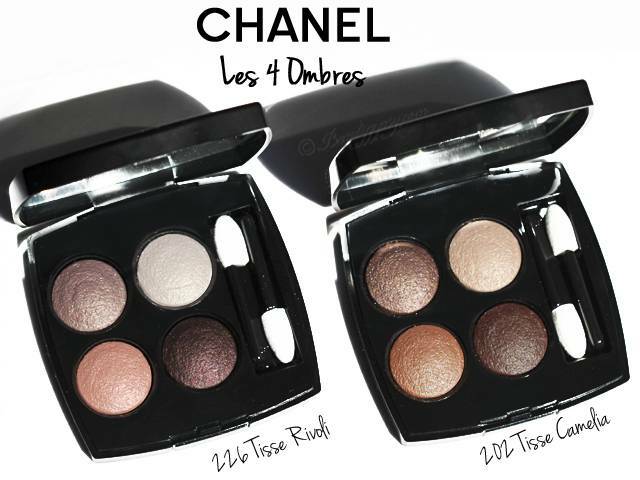 I love Chanel for its eyeshadows and glosses, Armani for its foundations and liquid highlighters, Cle de Peau for its concealer and lipsticks, Tom Ford for its polishes and brushes, Nars for its blushes and glosses, Yves Saint Laurent for its lipsticks, and Dior for its fun seasonal promos. How important is it to have a quality set of makeup brushes? Which set would you recommend? Brushes are everything in my world. I own over a hundred brushes, and can easily acquire more. Your face is a canvas, the makeup is your paint, and your brushes pull it together. 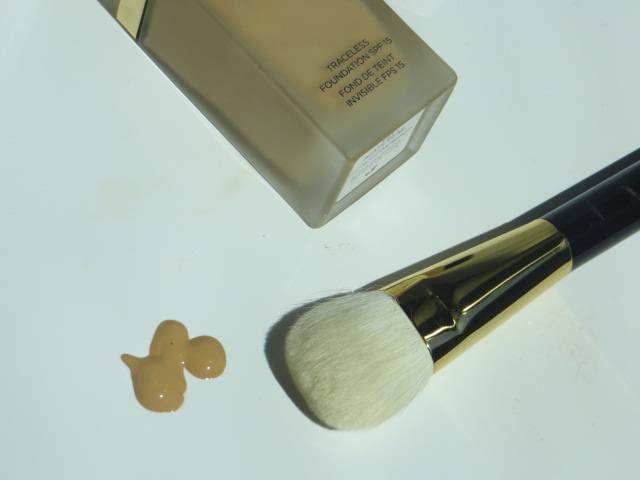 Without good brushes, your face won’t look its best and your makeup won’t blend the way it should and could. I used to have my own line of brushes; it was once a huge part of my business in store and online, and I look forward to [reviving and] revamping my personal collection in the near future. 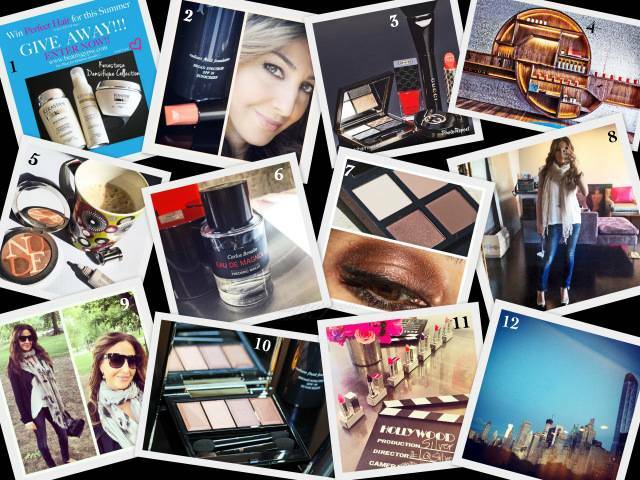 Name one current brand you can’t get enough of, and why you’re obsessed. 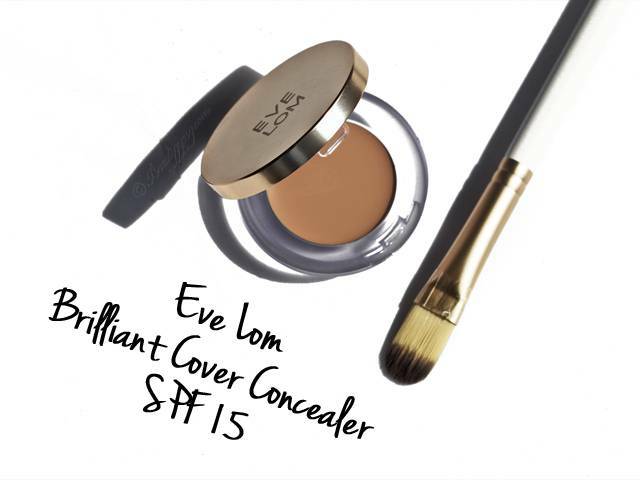 Currently, I have been obsessed with everything Eve Lom, and Charlotte Tilbury from the UK. I have ordered her stuff from Selfridges, and my hunch is she will be a huge hit in the US when her line arrives in the fall. Look out for this line—it’s amazing! What are three rules one should follow in order to acquire and maintain glowing, healthy skin? Always take makeup off at night—every last trace of it—even if you are tired. Use skincare that is a match for your skin. The biggest problem people have is that they either over dry or over moisturize their skin, which leads to breakouts. It is important you have your skin evaluated correctly in order to find the right products. When you have problems with your skin, book an appointment with a dermatologist before heading to the department store cosmetic counters. Trying to correct your issues is a much better investment versus just attempting to mask them. Get lots of sleep, drink a lot of water, and keep a good diet. Trust me—there is nothing out there that can hide dehydrated skin. It has to come from within, and the rest follows.